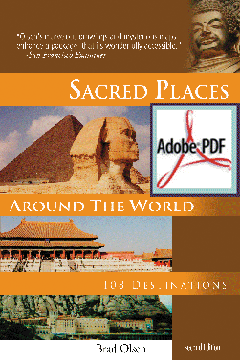 This comprehensive guide escorts the reader on a pilgrimage that reawakens, rethinks, and reveals the Divine Feminine in a multitude of sacred locations on every continent. Goddess expert Karen Tate takes her audience on a journey of discovery from the Indus Valley, to the Middle East, Europe, Africa, the Americas and beyond, introducing the feminine face of God, sometimes forgotten for centuries or repressed. 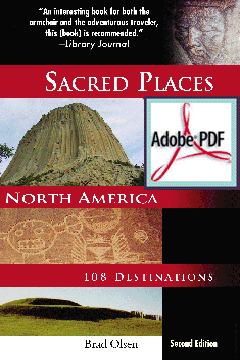 Visit shrines, springs, temples, yoni stones, archaeological sites, museums and labyrinths. Examine the spectrum of evidence as the author clarifies mythologies, and documents the long history of Goddess reverence in many cultures. Tate outlines worldwide locations devoted to Goddess worship, from the moment self-awareness crept into the collective spirits of our ancestors, to the living traditions of Goddess practitioners today.